Being blessed with children is also being blessed with dolls, cars, teddy bears, tea sets and books. Lots and lots of them. But it’s easy to keep toys and the entire entertainment library in reasonable order with these toy storage ideas. For a super quick clean up, encourage kids to play on a Pouch Australia Play Pouch. 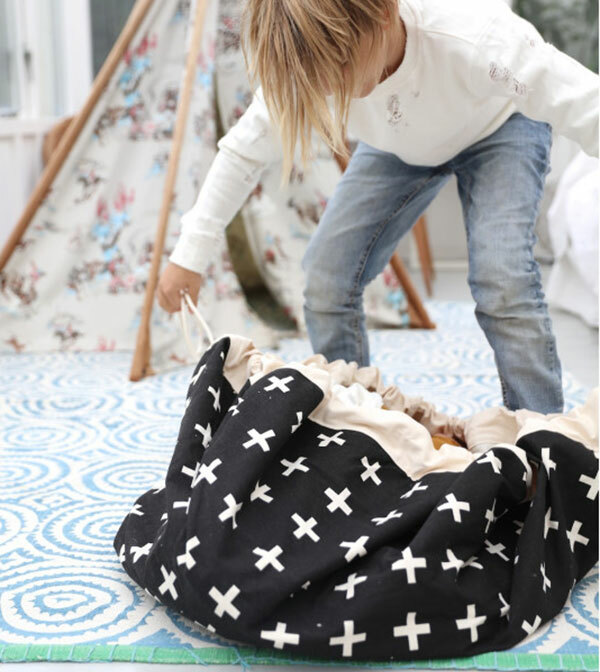 With a 1.45 metre diameter, the pouch is perfect for Lego, Barbie dolls or Hot Wheels play – and clean up is as simple as pulling the drawstring tight! $70 from Hard To Find. Let’s not forget this stellar Ikea hack. 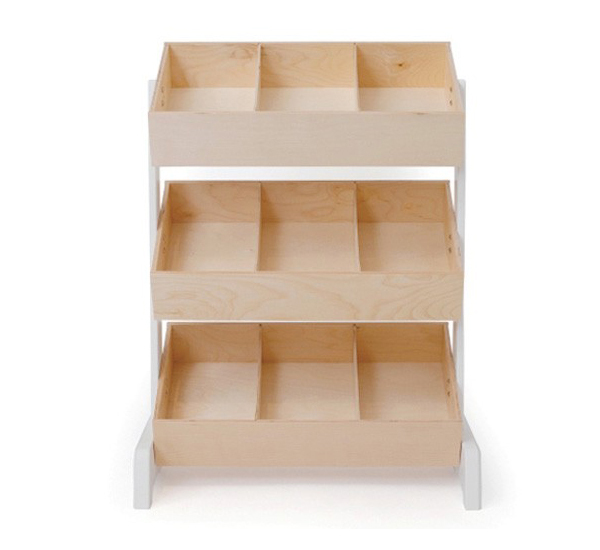 Keeping dolls in an orderly fashion has never been easier than with the Skubb storage system for just $6! We love Willow and Wood for their beautiful timber storage Rolie Boxes. No lids mean no accidental finger traps and of course, wheels mean it can take entertainment to any room of the house with ease. $100 each from Willow and Wood. From the uber-stylish crew at Oeuf, toy storage is taken care of with the gorgeous Oeuf Toy Store, $749 from Kido Store. 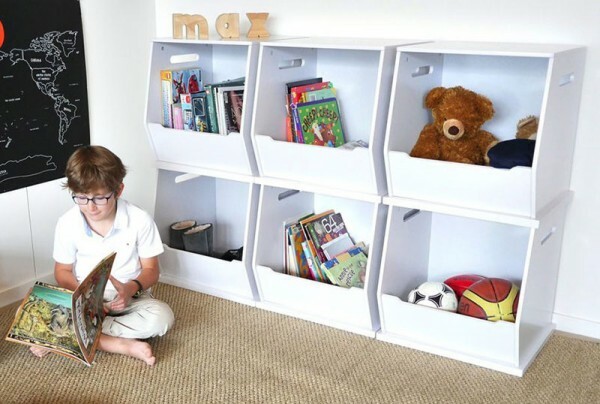 Easy-to-access storage bins on three tiers makes it easy to get treasured toys out – and more importantly – put them away! 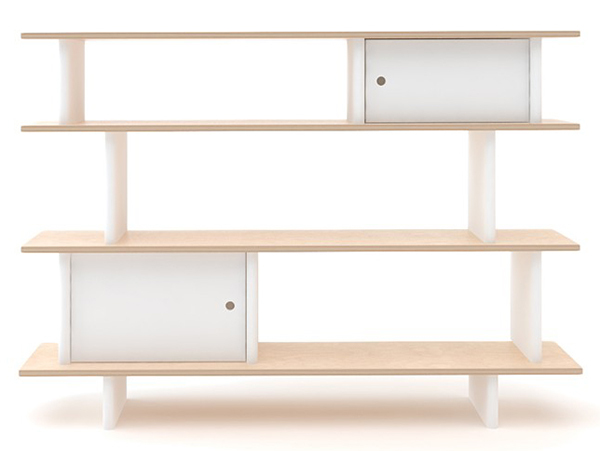 Alternatively, Oeuf’s Mini Library, $999, is also serious book storing eye candy and its gorgeous design will last the distance from tots to teens. Available from Kido Store. 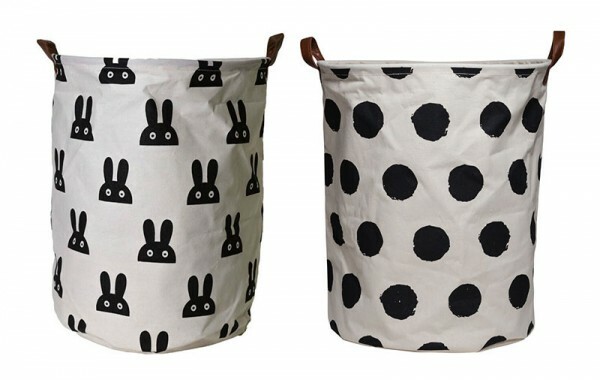 Canvas storage baskets are still very popular for good reason – they’re both durable and lightweight. We’re spoilt for choice with designs to choose from. Our pick of the bunch are these monochrome gems, $30 each from Leo & Bella. An oldie but a goodie, I can’t look past the awesome Boon Bath Pod to keep bath toy chaos under control. A storage pod which also doubles as a handy scoop for removing and drying out the bath toys from the bubbles, it’s a winner! 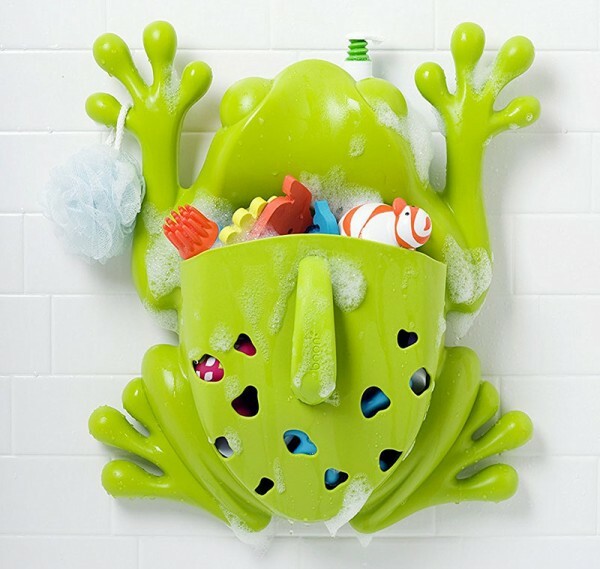 Boon Frog Bath Pod is priced $79.95 from Urban Baby. 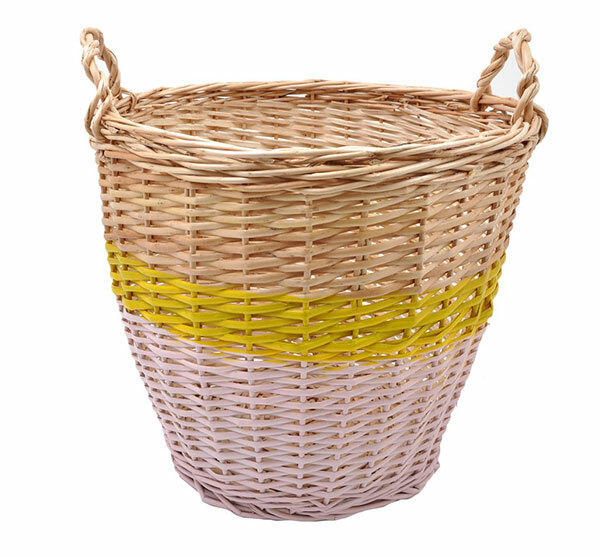 For those with a love for all things rattan, you’ll love the baskets on offer from Rose In April (pictured above and below). 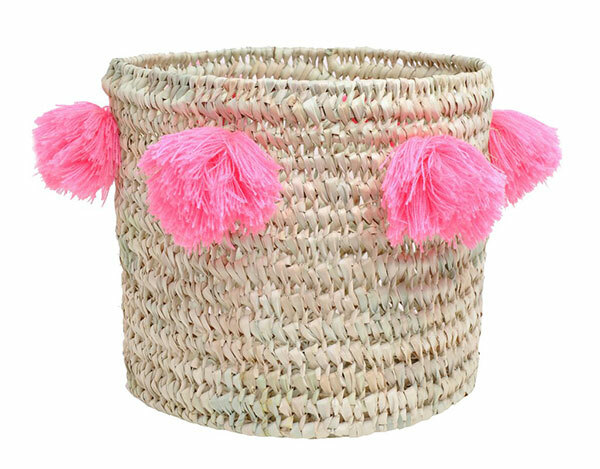 Full of colour and quirk with well-placed pom poms, you’ll find an extensive range of baskets at Kido Store, priced from $75. For a toy system you can customise to your needs, the Stackable Toy Box system from Hip Kids is a worthy investment. Including six toy boxes and available in several colour combinations, the Stackable Toy Box set is priced at $329.95. Finally, a tip from our home. My husband’s solution for toy storage was to buy a trundle bed frame. Hats off to him, the giant drawer made for a quick bedroom tidy every time! 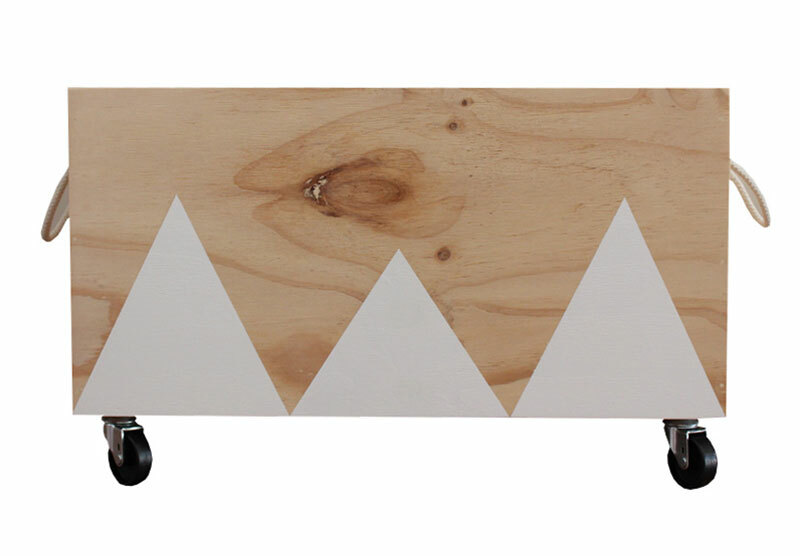 Check out the Paris trundle, $369, from Snooze for this handy make-shift toy storage solution. 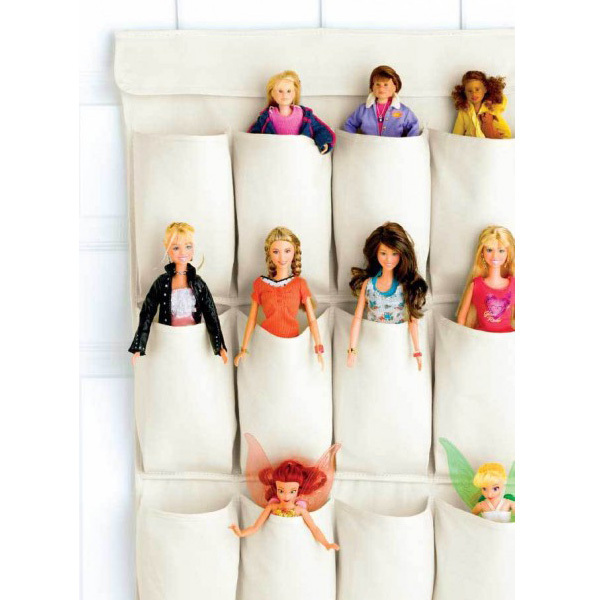 With these toy storage solutions under your belt, may the tidying force be with you!